Come noon the mysterial-rowboat was zooming along Barbarian’s Tread between the North Forest to the east and the ever thickening tree-line what was rapidly becoming The Left Wood to the west. By sundown they were going to be at their destination, the town of Aáhké, barring anything unexpected happening. Suddenly, just ahead of them a massive tree crashed onto the road. Vorwulf stopped the boat with a hard jolt throwing them all forward and Vorwulf almost head over heels out onto the ground. Another fell across the road behind them sealing them in the narrow cut between the trees of the two forests that served as the road. There were punji stakes studding the trunks of the fallen trees. Bursting from the bushes and from behind trunks were around twenty highwaymen, most had trained loaded crossbows on the adventurers. The thugs were fairly well-armed the cheap black paint on their weapons and shields showing heavy with large swaths rubbed nearly clean and the black dye in their leathers and hides fading into a sickly grey. Their leader sauntered into the road before the slayers with a smug look on his face which disappeared as soon as he caught full sight of the Blackwings’ weird vehicle. He then noticed Magiia was very ill; shivering with large streams of snot running down her face. The robbers immediately backed off panicked shouts of “plague” erupted from their ranks as they attempted to make the most space possible between them and the perceived plague-carriers barely able to prevent themselves from fleeing. Grom, the shaman, confirmed their fears acknowledging, falsely, that indeed she did have the plague. He feigned a slight cough. Almost shaking the leader waved his arms and the road blocking log ahead of them lifted up from the road, they could hear more hidden bandits heaving. A strong rope was tied to its top end as it stood on end disappearing into the tree line on one side of the road. The head-highwayman began waving them through and shouting at them in a heavy Hill-Lander accent, “Begone! Get da’ hell OUTTA here! Gew!” So the slayers did as they were told and sped off laughing all the way. Vor contemplated the apparent wasp-stings he had spied that were spattered over some of the bandits’ faces and necks. Come evening, the boat was stopped and setting in the embankment among the bushes while Vorwulf looked about for a suitable campsite. He found a spot and went back over to the other two when he spotted, and just barely, a serpentine dragon stealthily gliding over the treetops directly at the rowboat and the sickly Maggi. He shouted to alert the others. Maggi sprang to life and snatched up a short-spear and her shield. Grom tried to identify exactly what species the dragon was but failed. Vorwulf quick drew his composite longbow and shot at the monster with a dragonbone arrow which it instantly knocked aside midair. Maggi chucked her spear missing by a mile and losing the weapon in the bush. The dragon swooped by in a flyby attack, its talon strike thwarted by Maggi’s shield. Grom called down lightning from the sky which had no effect when it struck the dragon’s hide. Vor shot another dragonbone arrow which was swatted down by the monster’s tail. Maggi grabbed a javelin and threw it at the beast. It barely parried the weapon, the javelin stuck into the dirt of the road. The dragon turned in midair and threw itself fanged maw agape directly at Magiia. She met it with a shield bash wounding it badly even in her weakened state but also taking a nasty bite at the same time. She found instantly that the creature was venomous. Bolts of lightning struck down once again on the beast dealing little damage. Another dragonbone arrow shot at the monster but this time found its home. The dragon crashed into the trees about a hundred away from the rowboat. Without missing a beat Maggi downed a Neutralize Poison potion and ran to the giant, bleeding corpse Alchemist’s Kit in hand. Vorwulf, after getting a good look at the thing, recognized it as a Lindwurm, a native species of the Hill-Lands which usually preys on livestock, and probably the one the trappers had warned them of. Grom cut off the dragon’s nose horn. Maggi struggled with the shakes and her own impatience as she attempted to brew up at least a single dose of Dragon-Blood Potion, she failed using up the materials of the entire kit. To say the least she was a little disappointed but she still had the presence of mind to fill up all eight of her empty potion bottles with the creature’s blood. It was near dawn by the time Maggi finally collapsed back into her place at the rear of the rowboat. It was third watch and Grom the shaman was sitting on a log by the glowing embers of the dying fire. The chance sound of a snapping twig alerted him to a presence very near him. He looked over his shoulder and only about a dozen feet away coming out of the tree-line were a small group of black-skinned trolls were trying to sneak up on him and when they noticed they were spotted silently melted back into the bush. They were long gone by the time the shaman had woken the others. Vorwulf waited till first light and found their tracks guessing there had been at least four trolls. Soon after that they were again on their way. After a few hours and enduring a slight drizzle they came to a fork in the road, a gibbet and a rotting corpse to great them. They had broken the tree-line about 20 miles ago passing a rough, stone monolith engraved with the spiral horn symbol of the Old Satyrs, the elder gods of the Hill-Lands, a signpost that they were now in the Norusk region. They found themselves coasting over a rolling grassland along the well-traveled dirt road with the trees of the North Forest less than a mile or two to the right (south). They inspected the corpse hanging from the gallows at the fork. It was the corpse of a full-blown Satyr the remains of his Acton emblazoned with a red ram’s head on a quartered field of white and light green. The rope stretching its neck was fashioned from a knotted tartan sash. It looked as if the body had been there for a full season at least. The Corpse: “No.” With that the putrid thing went limp and its horned head dropped back to its chest. It wasn’t long, a few minutes at most but a distance of about 6 miles, before they came to another fork in the road. The road continued west and spurred off to the northeast. They unanimously voted for the left so Vor mentally steered their strange craft along the northeast spur. A ruined stone keep atop a low hill soon rose before them. There was no town or anything living for that matter in sight. The beginning of spring, the morning sun was golden bright and peaking over the silver-grey clouds that still lagged along the horizon. The slayers began preparations for their trek north along Barbarian’s Tread into Norusk on the hunt for the red-dragon lord of Grom’s visions. Magiia was in bad shape, sweating and shivering. She had run out of Dragon’s Blood Potions and was jonesing. Bad. She had stretched her supply as far as it could have possibly have gone over the past few weeks in anticipation of the spring melt running out completely the just week before. She was well into the first stage of withdrawals. While she convalesced on a table in the Hopping Rat Vorwulf wrangled the horses and kit into the tavern stable. Grom made arrangements for Kyrahma, his hound, with his protégé Og while he was away. Olf had parted a few days hence as the shaman had failed in his efforts to convince the healer to stay with the guild. It would be the last they would ever see of the Arborean. The slayers had re-hired Ebor the bartender to mind the Rat and he began to wipe up and get things in order from the utter mess left behind by a very busy winter. While in the stable Vor sent off a Magical Pigeon from the guild scroll they had been given in Chago upon joining to the Blackwing guild master there. After, Vorwulf galloped off on a horse while the shaman tried to figure what to do to ease Maggi’s pain in the meantime. He found that he could do nothing. Vor returned in less than an hour dragging with him a simple row boat. The shaman was puzzled so Vor told him that he was planning to use the jeweled gold closed helmet taken from the Skulls (see the Dragonslayers I Pt.37) which had the Mysterial Chariot ability on it allowing him to cause the boat to be enchanted and levitate about 5 ft. in the air and travel at a very brisk pace. They were going to brave the spring rains and have to deal with a lot of mud, it could take up to 3 weeks by horse. This was their best option. They began loading up the row boat in the staging area, the small courtyard between the stables and the tavern lastly depositing Maggi and her gear. As they made their final preparations a merchant and his fully loaded wagon rolled up. The merchant appeared to be Hill-Lander bearing the embroidered image of a blue-bull against a green field on his chest as well as a tartan sash over his shoulder. He was selling various grades of whiskey so Vor purchased 1 barrel of whiskey and a cask of the merchant’s “best” for 1,880 gold pieces. The merchant, the only name they got from him was Aáhdrahké (a-AH-draw-KAY), after the sale trundled off without a word. He seemed a little snobby and was not forthcoming to any of the slayers’ questions. Fortunately another friendlier Hill-lander merchant approached them with his wagon which was loaded with several hogshead of strong ale. On his chest was embroidered a white rabbit with a silver tankard on its back against a green field, the same was painted on all of the hogsheads. They didn’t bother to get his name though he gave the name of his boss, Craftsman Banik of Baáchkul (bah-AH-kool), a brewer from Aáhké, a town, basically the only town, in Norusk. 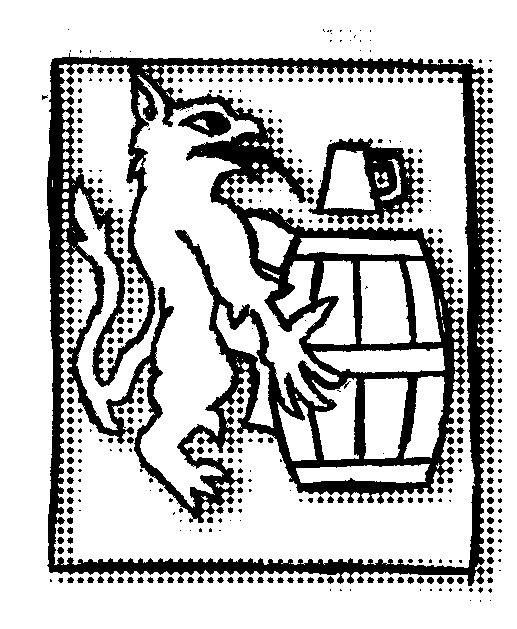 Vorwulf asked for directions to the town after asking after the dragon, which the ale-seller revealed that no one has yet seen a dragon but they know it’s there due to the forest fires to the northeast of Aáhké. As for directions they were to “go north along Barbarian’s Tread, take the north road at Gallow’s Fork and stay west ‘til you run inta’ town”. Vor purchased 2 hogshead of ale for 800 gold pieces and the talkative seller went on his way. Shortly after that with a better idea of where they were going the shaman jumped into the boat and Vor took up his position at the bow and activated the helmet. The boat rose and then shot forward moving very fast, the still chilly but moist air blasted into their faces. Magiia was huddled against the transom bundled up in furs and blankets. Her nose was running and she was groaning with severe stomach cramps. Grom intending to read for the duration of the trip reached into his Bag of Holding and pulled out Blackbrow’s spellbook, the one covered in chromatic-yellow dragon hide, but was already familiar with its contents so he deposited back into the bag and instead pulled out the Tome of Dragonslaying. They had yet to get it open, the first thing he noticed was that there were no locks, the animated troll face on its iron bound cover was not pleased. The jeweled eyes of the thing menaced him as it slung insult after revolting insult in his face and when that failed to dissuade Grom from trying to open it, it glowed red hot burning his hands. A little miffed the shaman convincingly threatened to burn it. It immediately relented and opened itself. It was then that the shaman realized that either the thing believed itself to be an actual troll or it was animated by the imprisoned spirit of a formerly living troll. The first thing he found in the tome was a song titled, “The Epic of Red-Tooth Dragonbane”, a very well-known bit of pop-culture throughout all of Ar along with a colored crest of a tower enwrapped by the coils of a black serpentine dragon surrounded by mutli-colored stars, it was identical to the crest on the Ring of Dragon Protection that had once been Bers’ but which now Maggi wears (see The Dragonslayers I Pt.28). It was apparently the oldest entry in the book. He flipped through the vellum pages and found some invocations: Protection from Dragons, the counterspell for Expel from Lair, and Track Enemy (Dragons only). When flipped the next page after the last spell he found another, apparently the newest entry in the book. The spell was titled “Draught of the Dragon’s Soul”. He was able to identify it as a Spell of Legend. He seriously contemplated trying to use it. In no time the slayers’ transport was passing through the gates of Fertum Vorahd, the long banners on either side bearing the gold-horned white ram against a green field wafted in the breeze. Magiia’s eyes were rolling blindly around in her head. It was still mid-morning; it had taken only about 10 minutes to get from Merdna to the Fertum. The guards were a little taken aback by the strangeness of their vehicle which as soon as Vor had walked into Lord Vorahd’s manor dropped with a slap to the ground with Maggi still twisted in her sweat-moistened bundle. The shaman and Vor walked into the main hall where Vorahd was waving a sword around apparently bored while a scribe worked on a pile of documents spread over the heavy wooden feasting table. He was very happy to see the slayers especially the shaman whom he embraced heartily. Vorwulf got the shaman to ask the lord for the deed to Ekit’s Watch, in his own name not the guild’s “just in case”, which the relieved old lord had his scribe attend to. They were to pay 100,000 gold pieces for the deed and pay a flat 100 gold piece annual tax to Lord Vorahd’s tax-collectors. Vorahd warned them that the Merdna Elder Council also laid claim to that land but to “nevermind them it’s mine plain and simple”. That business concluded they gave Lord Vorahd the two ebony staffs with skull toppers, the blue-steel pike, and the blood-metal longsword. The slayers jumped into the boat and soon enough they were off. Maggi was hanging her head overboard to be violently ill. The slayers in their weird little vehicle whizzed out of the Fertum’s north gate onto Barbarian’s Tread, trees on either side. Magiia hung her head over the side and wretched. A day after arriving safely home in the Hopping Rat in the city of Merdna, the slayers identified and split the loot acquired in the Blackbrow expedition. 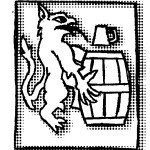 They drank ale, Og & Trasknor (Grom’s & Vorwulf’s protégés respectively) had purchased 3 hogshead during their absence (just in case), while gathered around a table in the currently deserted taproom, a snowstorm roared outside. Among the gear of note they found that the vampire-faced helmet was a Creator Level 10 item with the constant Blood Sense and constant Vampire’s Kiss abilities. The black bearded-axe was a Creator Level 8 item with the constant Blood Thirst and blood drain (1D6 bleeding damage on a critical strike) abilities on it. The black full-plate armor was a Creator Level 12 item with the constant Aura of the Dead and Sanguinary Reprieve (2 x day) abilities. Frankly, they had no idea as to what to do with the “evil things”. The skull staffs, one taken from Zancor the one-armed and the other with tourmaline eyes found in a secret compartment, were Creator Level 25 items both with the Whisper (3 x day) ability with the gem-set one also having the Tele-location (3 x day) ability tied to the one that had been Zancor’s. After taking possession of the items that they wanted or could use out of the pile the slayers decided the Ring of Animate Armor and the Ring of Animate Statue sifted from the lich’s ashes were to be “treasuried”. The rest they would sell when they got the chance. Upon getting into the guild treasury in the secret compartment in the taverns cellar they found all of the coinage and gems missing from the 3 chests within. Vorwulf ranted something about “damned” ratlings for some minutes. The group went back up to the tap room and pulled up to a table. Grom easily saw through Magiia’s ruse though she was able to talk around the issue and stall until Vorwulf convened a second meeting, “guild business” this time. They had a discussion about building their guild house and acquiring the land needed to do so around the Hopping Rat tavern still hoping to simply expand that building. Ultimately since Vorwulf held the titles of (unofficial) Guildmaster/(official) Alderman he would be the one to go to the Civil Authorities’ Hall to talk to the officials about purchasing the deeds and the permission/documents needed to begin the construction of their guildhouse as soon as the weather would allow. Shortly after high noon the snow stopped and Vorwulf left for the civic hall with Grom in tow, a different mission on his mind. Shortly after their departure Magiia left to keep an appointment leaving Olf in the company of the protégés. Vorwulf found himself in a small meeting room at a table with a scribe, a city warder charged with what was essentially city-planning and contracts. It took a few hours for Vorwulf to work out the details with the city warder to gain the deeds from the properties around the Hopping Rat especially since the slayers’ neighbors are looking to sell to the drastic increase in the occurrence of particularly destructive street fights in their vicinity. The guild was offered the lease to the West Gate and the opportunity to build their guildhouse around it like the Woodcutters’ and Clothworkers’ guilds for 10,000 gold pieces down and 12,000 a year. Vorwulf took it. There were also stipulations in the lease that they had to use the city architect and hire from the resident manpower of Merdna barring any special services that cannot be had within the city. Vorwulf set 5 large emeralds on the table for the down and went about hiring woodcutters, blacksmiths, the architect, 100 general laborers, and arranged for the importation of masoned stones from Sirti in all spending 26,250 gp with 50 gp recurring per month for the laborers and 1,200 gp recurring per season for the master architect. Grom in the meantime had hired the stockade located in the civic hall. After the jailor left him to his own devices the shaman pulled out the corked bottle that contained the snail named Kyrahma. He took the snail out and set it on the floor of the cell afterwards closing and barring the wood door. Through the small barred window in the door he kept eye contact with the miniscule creature and released the spell that had kept the rogue Feren berserk in that form. Instantly she was again herself though stark naked and extremely angry. Foaming at the mouth she immediately kicked at the door. The wood bowed and splintered. The door held but could not take another blow like that without completely shattering. Grom cast Animal Form again upon the Amazonian and instantly she was reduced to a dog. A little while later the three slayers met up in the street and snow in blue gloaming of evening approaching the warm yellow light of the tavern, Vor with the contracts and deeds in hand, Grom accompanied by a fine hound and Magiia with a package a tall as she was. Together they entered the Hopping Rat. When he saw them, Vorwulf stopped dead in his tracks; the ratling adventurers, the “tat-eyes” were gathered around a table drinking. They were decked out in new very expensive looking clothes and were sporting new jewelry that glittered in the lamplight. Vorwulf surveyed the taproom and saw no other ratlings hanging abouts. He made beeline to the cellar and brought back a dusty bottle of high quality wine the seal of the gryphon stamped into the glass of the bottle and slammed it onto the ratlings’ table. The Mantck ratling (a medium-sized ratling from the Poisonwood) spoke tossing aside his cape of red feathers: “Don’t worry our underlings won’t molest your customers.” A wide verminous smile spread over his rodentine features. Vorwulf took a seat, Grom kept an eye on them from his place at the bar. Maggi was busy pulling the oilskin wrapper from her package revealing a portrait in a fine frame oblivious to the current situation. Vorwulf offers the ratlings 1 platinum piece as an “insurance payment” and offering it per year to which the Mantck, named Nomet Redblade, reacted very favorably. Vor demanded a contract since the ratlings had already taken their “down payment” referring to the repeated plundering of the treasury. They were soon working out a formal contract where the ratlings were going to provide a level of special security & insurance for all of the holdings of the Blackwings guild of Merdna. On top of the down for the “ratling insurance” Vorwulf also tossed 1 gold and 1 platinum talon on the table as a “retainer for future services”. Nomet whistled through his fingers after the contract was signed. Trasknor shouted to Vorwulf from behind the bar. There was a horde of ratlings vacating the building out the secret back door from an unseen passage presumably up from the cellar. With that the ratlings shared the wine with the ranger/dragon-slayer and then took their leave shortly thereafter. Maggi finished hanging her portrait on the west wall between the windows and admired it. It was a portrayal of her with her foot on the headless bleeding corpse of a dragon, the muscles of her half-naked body glistening under a heroic sunset as she lifted the dragon’s severed head, the resemblance of her lost axe in her other hand. It was a masterwork indeed. The Dragonslayers III Pt. 16: Begone Foul, Black-Brow’d Night! Magiia stood over the flinders of her axe lying scattered over the two halves of the severed zombie head. She tossed the splintered haft to the floor. The wooden clunk echoed down the empty dark halls. Mourning her axe Maggi followed the shaman as he ran into the library from the steps. She whipped out her sword and casually hacked a skull that leapt off of a table in two while it was still in mid-air. Grom and Maggi eyeballed the octagonal chamber. The floor was covered in a moth-eaten carpet which squished with dampness as they tread over it. In the south by the entrance to the chamber sat the polished table which had served as the platform for the leaping skull. The heavy oak table was inlaid with amber and had gold leafing under its polished surface but was otherwise barren. The walls were covered in dark wood paneling with high shelves built into the three western walls. To the north in a large niche stood yet another statue of Parkannis which was 10 ft. tall and chiseled from pure white alabaster with a golden circlet resting on its brow bearing a blue-steel wand shaped like a human femur in one hand at the end of an outstretched arm and a finely carved life-sized obsidian skull in the other. Grom became obsessed with taking both the wand and skull from the statue. He yanked on the arm with the skull, it moved and all heard a loud click and a slight creak as if something were opened. The shaman didn’t hear it and failing to get the skull he tried the blue-steel bone wand and found it was also too firmly attached for him to pry form the statue. While Maggi stepped in and began ripping the treasures from the stone hands, Vorwulf carefully worked his way around the room clockwise from the south trying to find what he believed to have been a secret door opening somewhere in the room. He saw that the shelves of the library contained about 3 master booklots on exactly what one would expect of a lich; the books were of Alchemy, Spellcraft, and Necrology. When he made it past the amazon and shaman, still working the statue over, he found the door behind a false panel. The shaman after packing away the skull and wand, neither of which seemed to be magical, he helped Vorwulf grab up the newly discovered loot. They had found scrolls of cone of frost, craft ring of invisibility, and teleportation along with a magic scroll of mass teleportation (Creator Level 12 with a single remaining charge) on a small scroll-rack. The shaman suddenly and desperately began checking his bags finally exhaling in relief as he pulled out a small corked glass vial containing the snail named Kyrahma (see The Dragonslayers II Pt.14: Betrayal!). Gil (Grom’s Player): “I pull her out one-time every day to give her some air.” He thought he might have left her in his backpack (see Dragonslayers III Pt.13). The shaman put the snail in its bottle, corked it and then back into his Bag of Holding as he followed the others when they turned their attentions to the other end of the hallway. They realized it was an arcane laboratory. The chamber was lit dimly with the strange mystical light emanating from three fire gems (an emerald, ruby, and tourmaline) sitting on a hard-worn table at the center of the room among the equivalent of 2 alchemist kits worth of lab glassware. They quickly cleared the table of 6 empty potion bottles, a crystal ball that proved to be magic, a gold oil lamb with a bottle of oil, and of course the gems. They left behind the small iron cauldron and the alchemy hardware. In the northwest corner was a set of steps winding down. In the east wall was a hinged grating which covered what appeared to be a waste chute and below that squatted a locked bronze banded chest. To the south a short hall connected the lab to a small room, a potion store, which had a bronze grate in place of most of its east wall through which they could see a wide deep shaft, the chain-tackle that ran from above into its depths tinkled in a cold draft. The GM: “Yeah. You would’ve lost a few.” I mimed a guy falling to the bottom of the shaft into the well screaming. Another passage opened to the east and bent sharply south that southward passage, half of its west wall was another grating bordering the shaft, terminating in a stair which wound down to the floor below. In the southwest corner a small wood cabinet was set on the wall, it was apparently locked as well. A small niche was in the north wall and sheltered a small high quality ivory figurine of a skeleton embracing a naked woman, the woman was painted in living colors. All of this was under the gaze of a wall portrait of Parkannis surrounded by the instruments of wizardry next to a black mirror which reflected a human skeleton to the south. Patches of the portrait were falling away from the wall. Vorwulf immediately tried to pry open the chest but failed and so left it to Maggi. Inside was a red bottle with a ruby stopper (apparently empty), various disgusting spell components, 4 pieces of obsidian craved into little skulls, a coin purse made of chromatic yellow dragon-hide with 50 silver pieces inside, 6 empty bottles, and a small astrolabe. As they took what they wanted to keep Vor snatched up the red bottle and immediately felt as if his very life-force were being drawn into it. He then could see a small bit of blood at its bottom. He wrapped it in a rag and stowed it away. Afterwards, Magiia turned her attention to the small wall cabinet which she easily just pulled open. That was then a swarm of crawling claws, animated severed humanoid hands, poured out of it and all over her grabbing and scratching at her armor. Grom hit her and the swarm with a blast of hurricane force wind which Maggi, maintaining her balance, was able to endure blowing off all of the crawling hands into the short hallway to the west. After that she and Vor made quick work of the little monsters expertly dicing them into a scattered mess of fleshy bits and wriggling wormy fingers. All that was in the cabinet were 3 superior quality gold rings and a dragon-ivory wand of ‘maximize spell’ which the shaman took. They went into the potion-store and found 2 potions of adhesion, clairvoyance and comprehend languages and 2 bottles of oil of animate dead. Vorwulf found another secret compartment which contained 3 gruesome wands made from human femurs, a gold rod wrapped with copper tipped with a large diamond, and 1 ebony staff with white skull topper with tourmaline eyes (very similar to the one that Zancor had back in Merdna). They went back to the laboratory and went down using the steps in its northwest corner. They began moving from room to room clearing the way of various “ghoulies” and other hazards as they wandered through the confusing jumble of rooms, dead-ends and multiple staircases. Vorwulf locked a black pudding in the latrine, they fought a mace-wielding wraith in an apparent scrying chamber which had a single black pedestal at its center with a crystal ball and bronze bowl atop it and three of its four walls had polished obsidian insets which eerily reflected the living visage of the hideous wraith. They happened upon 5 guardian-zombies in an apparent zombie barracks where they looted a blood-metal longsword with a silver guard and citrine pommel and a blue-steel pike off of a weapons rack. Vorwulf found yet another secret compartment there; it was armed with a trap which due to time had long since ceased to function. Within was a suit of black full-plate armor with a great helm the visor of which was shaped like a maniacal vampire baring its fangs; next to that was a black bearded-axe. They eventually ended up in room which opened up like a balcony out onto the entry chamber visible below, a single beam of cold sunlight shining through the oculus in the domed ceiling cutting through the dimness to the floor. They sat there debating on what to do for long while by the wooden railing while the beam of sunlight grew weaker and weaker. Finally they decided to go back up to the kitchen to eat, have the shaman rub some healing salve on their wounds, and catch a little sleep. Come sometime the next afternoon they again found themselves leaning on the balcony railing. Earlier they had discovered a supply closet where Parkannis stored his spell components and the second set of steps in the laboratory dead-ended. The shelves were lined with bottles of revolting spell components (all fresh of course) including a jar of mummia, a bottle of necroplasm which slurped around in the jar of its own accord, and a jar of blood that was still warm to the touch. The players and their characters consulted their running maps of the place. They all came to the same conclusion pretty quickly. They were hopelessly lost. They couldn’t retrace their steps because they didn’t want to end up in that “tesseract thing” again so instead they stood there racking their brains. Grom: “Oh yeah! Hey guys I can fly!” The others just grumbled. So, for the next 4 hours while the oculus sunbeam slowly dimmed and began to disappear, Grom and Vorwulf repeatedly tried to read and thus activate the magic scroll of mass teleport they had found behind the false panel in the musty library. It took them both reading it (a cooperative skill check) to finally activate it. The scroll disintegrated and instantly the group (Voruwlf the ranger/dragon-slayer, Grom the shaman, Magiia the dragon-blood-warrior, and Olf the Arborean healer) found themselves standing in front of the locked front door of the Hopping Rat. The entire group let out a sigh of relief.